is a Lie and a Hoax! And yet they want MORE money! Is it "science?" No. If it were, there would be no debate, there would be no need for consensus, both of which prove speculation at best. Just calling global warming manmade ignores millions of years of history where the Earth's temperature rose and fell without the help of mankind. Started out as "Man-made Global Warming"
that became, "Man-made Climate Change," then just "Climate Change. They toyed with "Climate Disruption." The latest? "Weather Extremes." What's next? Climate Change Is "My Religion, My Dharma." 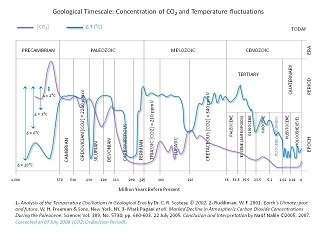 The average temperature of the Earth has always fluctuated. The Earth's temperature rose less than 1 degree in the late 1990's. The Earth has since cooled and given back most of that temperature change. But Algore thought of a great way industrialized countries could raise taxes: Blame global warming on mankind and not on natural causes. That way, you can claim that mankind can actually do something to affect the Earth's temperature and governments can tax the very air we breathe in what would be a futile effort to mess with Mother Nature. Such taxes are also back-door efforts to control population. Fact: Global temperatures have always changed with the solar sunspot cycle. Sunspots peak every 11 years. This causes a tremendous increase in solar flares which in turn cause a rise in the Earth's temperature. In the same way, sunspots reach a minumum every 11 years and with less solar activity, the Earth cools. In 2008, the sun approached solar minumum and guess what: The Earth's average global temperature began to drop! In 2009, the sun did not come out of solar minumum. It had the longest period of absolutely no sunspots since 1913, when there was a "mini ice age." We could be headed for another one of those now. Remeber the pictures of the Industrial Revolution with the smoke stacks lined up across the horizon belching out thick black smoke? Remember when all cars had smoke coming out of the exhaust pipe? Where was the global warming? The liberal news media promotes this hoax simply because they are controlled by those who want to invent these taxes. For example, take this Reuter story. The headline is "Arctic Ice Melts to Third-smallest Area on Record". The Arctic ice cap reaches its annual minimum coverage in September. The smallest in recent history was indeed in 2007, but since then, the annual minimum has increased, with 2008 being larger than 2007 and 2009 being larger than 2008. The United States has made tremendous strides in drastically reducing emissions from cars, factories and power plants yet we are criticized from within by the socialists for pollution and fossil fuel use. Should we abandon our cars, turn off the electricity (which is still needed to charge battery powered vehicles) and return to the Stone Age? Those critics should concentrate first on the obvious and biggest polluters: the burning of the Amazon forest and the Chinese coal-fired powerplants with no emissions controls before they tax us into micro-managing our emissions down a few percent points. We are actually still emerging from the last Ice Age, and are getting close to going into another! The hoax further exposed: An article claiming shrinking Arctic icecap is affecting (actually benefiting) Bowhead whales is based on a 1988 report. Fact: With few exceptions, polar ice has been in normal ranges for many years, rendering the 1988 article moot. "... the benefits clearly outweigh the possible damage." Remember how hot it used to get before �global warming�? Stunner! Did global cooling impact Hurricane Harvey? 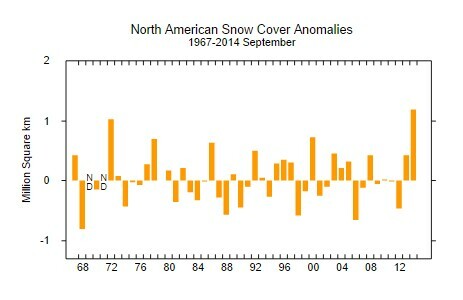 Siberian Snow Theory Points to an Early and Cold Winter in U.S.
Snooze button on 'global warming' alarm? Study: Are We Shifting to Fewer, Weaker Atlantic Hurricanes? Global warming or natural variability? 'Gaia' scientist James Lovelock reverses himself: I was 'alarmist' about climate change & so was Gore! What happened to the climate refugees? See next story for "missing map"
Global Warming - proved by U.S. congressmen! Arctic Sea Ice about to hit �normal� � what will the news say? Germany calls carbon tariffs "eco-imperialism"
Princeton Physicist Calls Global Warming Science "Mistaken"
Ice Age or global warming? Increased Number Think Global Warming Is "Exaggerated"
Scientists warn that there may be no ice at North Pole this summer NOT! What's next -- an ice age? Thousands of penguin chicks starve in Antarctica - Too much ice! Arctic Halloween Weather: Snow in Midwest, Record Lows for Eastern U.S.
Connecticut fish, frogs freeze to death, never before seen! Atlantic City, New Jersey � Coldest March Temp since 1800s!! Nearly 1000 Record Low Temperatures Set As Another Round of Arctic Air Forecast To Deep Freeze The U.S. Snow so deep, we can't even find the houses! Finally, some news that "proves" global warming! Yea!! Does this warm the oceans? Note, much of the 1983 fringe ice included in that year's coverage appears thin. Note the light blue area, including close to the North Pole. The 2015 ice appears robust. Hypocritically, when the ice coverage is growing in the fall and other data sources show more extensive coverage, they claim their values are less because they don't include ice which is under 12" thick. How much of the 1983 fringe ice is under 12", one wonders. Sun Oddly Quiet -- Hints at Next "Little Ice Age"? NOAA Accused of Fudging Climate Data - AGAIN! See how they twist the wording. No one denies "climate change." The climate always changes! They are afraid to say what they really mean - "Man-made Global Warming." What happened to the predicted Hurricanes? Why the Left will Never Abandon "Global Warming"
At least 70 dead crocodiles. More than 60 manatee carcasses. 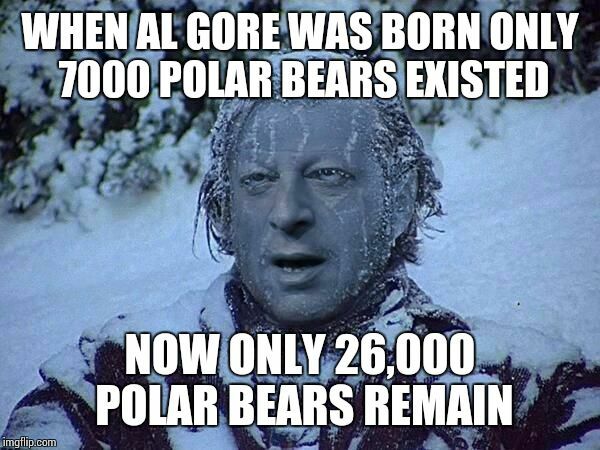 Gore: Polar ice may vanish in 5-7 years - Note the distortion: "In the summer of 2007, the Arctic ice cap dwindled to a record-low minimum extent of 4.3 million square kilometers (1.7 million square miles) in September. The melting in 2008 and 2009 was not as extensive, but still ranked as the second- and third-greatest decreases on record." Just think if it were the other way around. If the ice cap was large and started shrinking, the alarms would go off and the news would be that the ice cap was vanishing. After 2007, it started to recover, more square miles of ice in 2008 than in 2007, and even more in 2009 than in 2008. The real headline here should be "Arctic Ice Cap growing!" Instead the phase "the second- and third-greatest decreases on record" is used. 2008 and 2009 were not "decreases," but increases! So they lie. 2013: Man-made "global warming" causing Great Lakes levels to fall to record lows. 2019: Man-made "global warming" causing Great Lakes levels to rise to record highs. "If you dig deep enough into the Earth's climate change archives, you hear about thePalaeocene-Eocene Thermal Maximum, or PETM. And then you get scared. 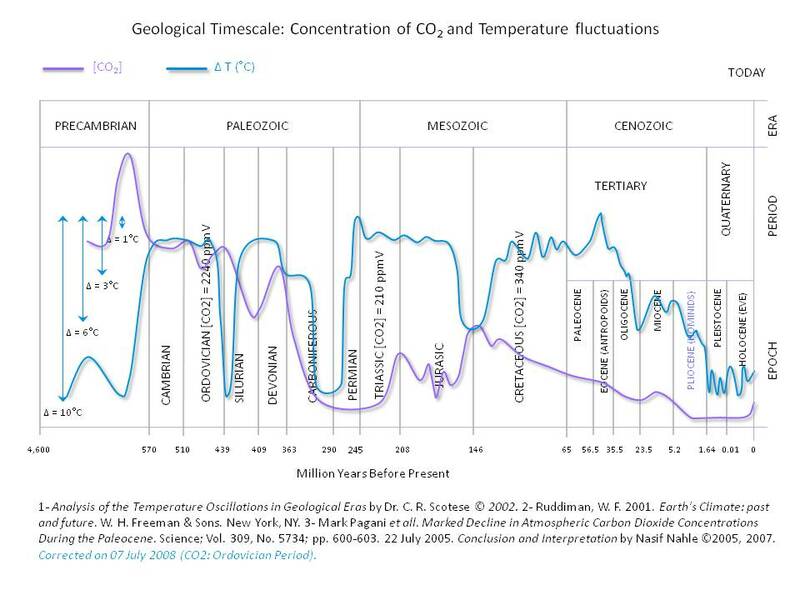 That was a time period, about 56 million years ago, when something mysterious happened � there are many ideas as to what � that suddenly caused concentrations of carbon dioxide in the atmosphere to spike, far higher than they are right now." Maybe the Editor at the Columbus Dispatch get scared. Linus, send him your blanket! "Scientists" said both global cooling and global warming cause instability in society and produce distatorial governments. Well, which is it? Global warming proven by snow? Scientists "make their case?"